One of my pet peeves about the way our blogosphere operates is you can miss some really awesome posts if you’re away for a while. It’s typical to miss hundreds of quality posts (depending on how many blogs you follow) while off doing other things. Most people do what I do and simply pick up with the latest post of the regular blogs they follow. You know what that means? You missed that post about the signing of an agent! A book contract finalized…missed! A cry for help...missed! A pregnancy or birth announcement…missed! 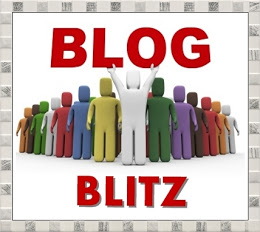 Some other special event in a bloggers life…passed by! I just shake my head when I think of all of the special posts I’ve missed this year. And then there are the informative posts about the topics I’m dying to know more about, yep I probably missed some of those as well. Since 2011 I’ve used a rather unique Blogfest to catchup with my blog reading after being distracted for various reasons (e.g. WRiTE CLUB, A-Z Challenge, NaNo, etc). 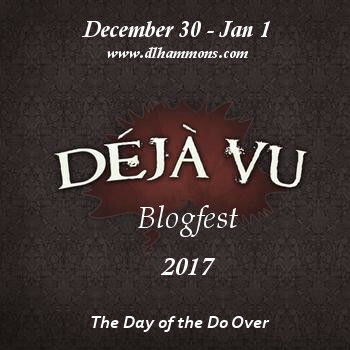 It’s called the Déjà vu Blogfest, and it’s become an annual event. So I’d like to announce this years…. Please sign-up and then shout out to all of your blogging friends and encourage them to sign up as well. Take the badge above and plaster it everywhere, blogging graffiti gone wild. Tweet about it (#dejavu2017) and post the picture on Instagram. Sign up below and start looking through those old posts! After months of waiting in agony for responses to the query letters I sent to a dozen publishing houses, watching my inbox like a hawk for anything that I could classify as a positive sign, it finally came – but from an unexpected source. And the message I received, while not what I was hoping for, in the end, could actually be better than I hoped. Let me explain (or recap). I once had an agent (representing a different book). We parted ways after an unsuccessful round of submissions when I felt she was losing focus. My agent was an author herself and her concentration seemed to shift to her own publishing pursuits rather than helping me achieve mine. Then I wrote a different book (PRICK) and went through the whole agent-query process again, but nothing panned out. That’s when I made the decision to submit to those publishers who accept direct author submissions (most of your larger publishing houses require agent representation). So that’s what I did. I had the book professionally edited and then sent out more queries approximately two months ago. During the time since I have received requests to read the full manuscripts, and also some rejections (one of which I opened on the morning of my birthday), but nothing happened I would consider thrilling. Until I received a phone call. Let me back up a bit. A couple weeks after I sent out all my publisher queries the editor I used recommended I send a letter to an agent she heard was looking for just the type of book I had written. What the hell, I thought. I had given up on going the agent route, but my editor was enthusiastic, so I emailed one last letter. A week later the agent asked for the full. Guess who was on the other end of the line when I received that phone call? 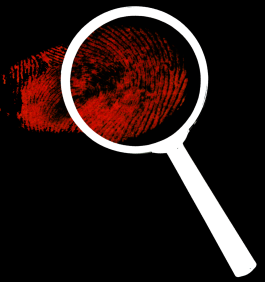 Yep – the agent my editor recommended. The agent was very complimentary of my writing, and the book…but…she had some suggestions she felt would lift the book from the “good” shelf, to the “awesome” shelf. And these suggestions weren’t minor tweaks, they were pretty major. She described it as taking a shotgun to my book as opposed to a laser, and then she proceeded to discuss those idea’s with me. And while she rattled off the changes she’d like to see take place, she also explained why the changes were necessary and how each one would impact the books commercial viability. More importantly, she “got” my characters and only offered suggestions that would strengthen them. It would be a daunting task if I were to make these changes, but the combination of the agent's enthusiasm and the excitement I felt about the possibilities she laid out for me, had me 90% convinced. The other 10% came from the agents track record. After I did a deeper dive into her history and other authors/books she represented (a list that floored me), I was sold. Although an offer of representation wasn’t in the cards that day, she did ask me to check back by the end of February to show her what I’ve done. Things are moving once again (I started tweaking my outline that night) and I have this feeling in my stomach that both excites…and terrifies me.